This is a nice way to feed you kids veggies. These 'cauli-rice' and 'brocoli-rice' and getting more and more popular here in LA. You can find them amongst the fruits and veggies or in the freezer. If you can't, here is how to make it. Place the cauliflower in the food processor and pulse a couple of times, until the cauliflower looks like small grain. Do the same with the brocoli. Heat the olive oil with shallot and garlic and cook for 3-5 minutes. Add either or both "rice" and cook for 3-5 minutes. 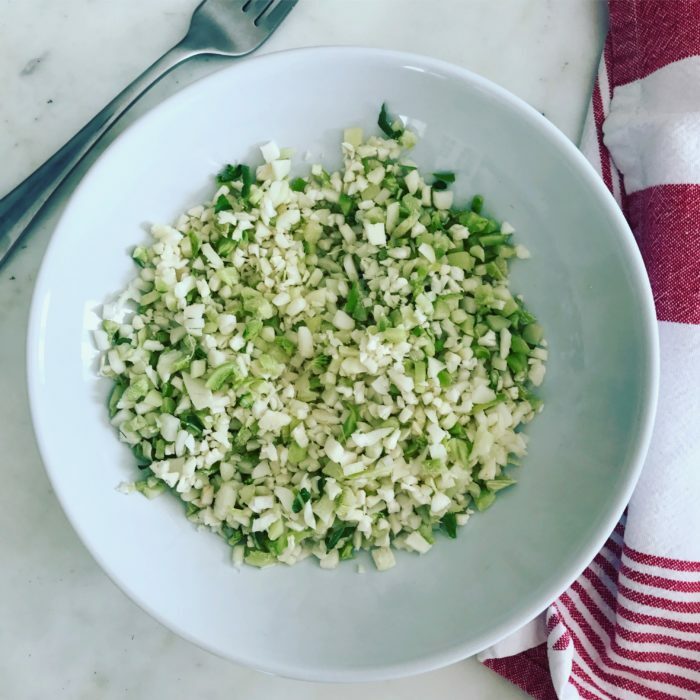 This is a nice side dish and can serve as an addition or alternative to regular rice, or quinoa. I have had it as an alternative to pasta and rice, with sauces on it and it is really nice!